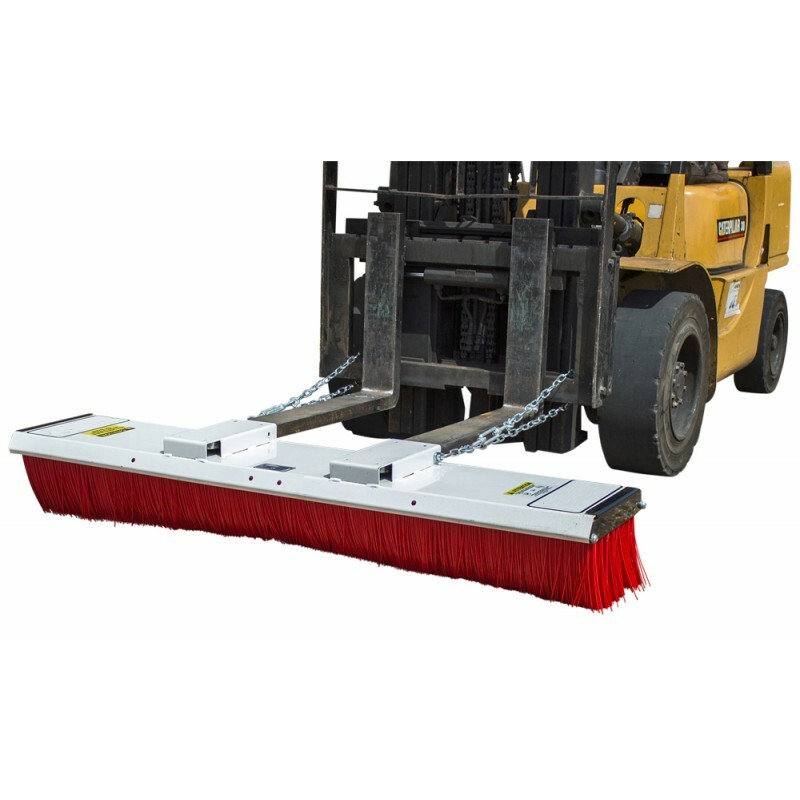 The Prosweep forklift sweeper, with 8 rows of durable polypropylene bristles, is a tough multi-purpose broom suitable for use in a wide range of industrial applications. 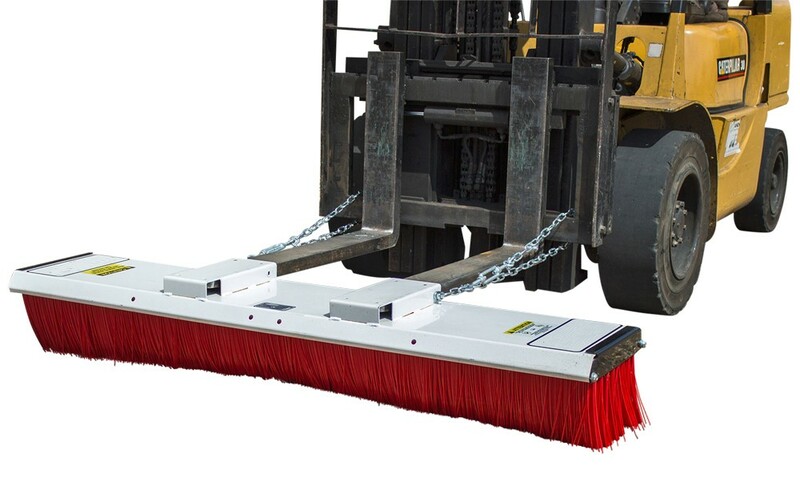 With no moving parts, simple and reliable and virtually maintenance free sweeping is achieved, which in turn will help reduce your labour costs and increase productivity. This forklift sweeper is suitable for use in farmyards, recycling centres, builder's merchant yards, warehouses, car parks and many more environments where debris needs to be swept up. Manufactured with a high-tensile steel shroud and powder coated finish, the Prosweep forklift sweeper tackles bulky debris with ease and like all our forklift attachments, will come supplied fully tested and certified for compliance with the latest Health & Safety Regulations. What environment can I use this sweeper in ? Can the bristles be replaced ? How long will the bristles last ?